When in Pallisa,nearly a couple of months ago, the National Resistance Movement (NRM) Deputy Secretary General, Richard Todwong, told the citizens to”feel free to criticize NRM; point out its weaknesses and faults; and not merely pile praises.” Now, he actually apparently meant what he was saying! Because last week at the preparatory meeting to flesh out the details for a national dialogue with the religious and non-governmental organization (NGO) leaders at Entebbe, Todwong went just one step further: he identified some of the categories of the people involved. The answer is simple: by stealing from the public coffers in the positions the Government and the citizens have mandated them to develop this country. 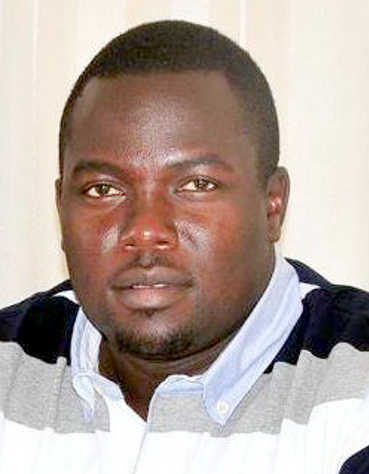 Earlier on, the NRM Minister of Finance and Economic Development, Matia Kasaijja, said that “corruption is finishing us”, in an apparent rapport with Todwong..
None other than the NRM Government mouth-piece, the Executive Director of the Uganda Media Center, Ofwono Opondo, has come out to agree with Todwong. He said that, quite obviously, “the public is not happy”. He further added that this gross theft and “protection of impunity will lead to chaos”. This theft and corruption advisory has come from the NRM figures who are relatively in the middle rung of its hierarchy; but quite obviously, they would not have had the guts to come out to enunciate this position without the say-so of those higher up in the scale. Usually in these cases, if they had overstepped their functions, their knuckles would have been rapped for speaking in the “wrong forum”. What can we read into this outward acceptance of the comments of this spiraling corruption? This column has time and again observed that”corruption is Uganda’s biggest headache; and one which is not going away!” Yet the perpetrators are comfortably mixing with the rest of the law-abiding citizens, without any recourse to bringing them to book. This week, the Government has come out by naming and ranking the “best” and “worst” performing Chief Administrative Officers (CAOs) and Permanent Secretaries (PSs). As some of the Government accounting officers, they are at the forefront of seeing the disbursement of the public funds for the social services to the people. Alongside this, there is the often cited case of the Inspectorate of Government (IG) and the Corruption Court, as the avenues with which the Government is addressing the issues of theft of public funds. If these institutions were effective, why is corruption not coming down? There are mainly two reasons why these institutions are not effective. One is patronage of some of these officers from those higher up, often referred to as the “untouchables”. When, for instance, the money is disbursed from the Ministry of Finance and Economic Planning, to the districts, it has now come down that the people in the height of the echelon follow the monies and “influence” the CAOs or the others to “sign for” (steal) it for them. In the process, these officers steal some more money for themselves as well. In this case when the theft is discovered, it is the “small fry” that suffer. They are at the pain of excruciating circumstances, if they dare name their superiors, who told them to steal and hand the money to them. One such character would probably be the former Officer of the Prime Minister Accountant, Geoffrey Kazinda, who is serving time in Luzira for stealing billions of shillings in his office. Secondly, as a result of such institutionalized cover-ups, everybody in the line-up will try as much as possible to “cook their heads”, to in all ways, try to get away with the theft. In that case, nobody is found to have been in error; and thus the only people to suffer, are the citizens who will have been denied the social services from the public money stolen by the “officers”. Given this scenario, and others which may not be immediately fathomable, it is what is making the theft of public funds – or, corruption – in the kinder nomenclature, not going away. Any institutionalized half-hearted attempt to get rid of it will not do. Maybe the national dialogue will come up with concrete answers. There is need to name, shame and punish all the thieves.